With the numbers of the refs from this season available I would like to point at a few numbers that I can get from the data I gathered in the season. And I come to the conclusion that the longer the season goes the lower the scores of the refs is becoming. I know that there are exceptions of course. I will not talk about intent or bias for a moment and just presume that all refs are honest and do their best. And then the only explanation could be that the refs are getting more tired towards the end of the season. I think this is the same like for most teams. Because don’t forget the refs run an average of something between 10 to 15 km in a game in the EPL. And most refs do two games in a week during a big part of the season. So fatigue could be a part in the making of bad decisions. So yet another fact that gives more fuel to our demand of having more refs in the EPL. The more refs you have the fewer games each ref has to do and the less problems with fatigue. Hello PGMOL are you listening? But there are other issues that we have been highlighting in this season. The known bias that can be seen from the numbers that Dogface provided. The bias from some refs on the field that only a blind man could not see. And then the question arises: is there something in the numbers that suggests that something might be a bit suspicious. Well let us try to see if we can find something if I slice the data in little bits and compare a few different things. To start with this is the final average score for all games in English competitions from Arsenal this season. The already known low score of 62% of the important decisions that are correct. Now if we can go back to the start of the season it is clear that nobody took us seriously when we said we could win the league. Until we took things in hands and went to first place after our away win at Aston Villa. Suddenly we became a threat. So these are the numbers when nobody mentioned us when it came to winning the league. Now if you would just take a look at the immense drop in the all important penalty decisions. From an already low of just half the penalty decisions that are correct they drop to only 3 on 10 penalty decisions that are correct!!! And if we look at the goals they also drop from 9/10 to 8/10. So suddenly the numbers on the most important decisions of them all drop considerable. This is not a slow slide down a soft hill. No this is falling from the highest tops of a cliff in free fall. So how can you explain this? Well…if you know the reason please send them on a postcard to Untold Towers. Or post them in the comment section. And to make these numbers even more staggering I will add the numbers of the cup games we had this season. And goodness me what do we see now? Just look at the penalty decisions in the cup games. Almost 70% of the decisions are correct. This is more than the double of the penalty decisions compared to the EPL since we became title contenders. I repeat more than the double!! And also the goals go up in the cup games to the 92% mark we could see at the start of the EPL this season before we came title contenders. So it is clear to see that there is a huge gap and difference between the Cup games and the EPL games and certainly since we came into the running for the title. Thus a suggestion could be that the refs are not instructed as they maybe are in the EPL? After all it doesn’t make any difference who gets to the final and who stays in the running for a cup. The only thing that matters is the final if you want to change something. As for the EPL it looks as if from a certain moment something suddenly has changed. Is it a coincidence that the numbers of the most important decisions like penalties and goals suddenly drop significant from the moment Arsenal really came in the running for the league? Is it really just coincidence? And to make things clearer I just give you the table with just the scores on the most important decisions again for the penalties and the goals and without the cards and other decisions in it. And look at how the decisions go up and down. And notice the big difference between cup games and the big difference before and after our away game at Aston Villa. And remember these games are done by the same refs for the cup games and the EPL. What is the matter? What is the reason for this change? Coincidence? Yeah, my a..
(1) you said that with the cup games it’s only important to excersize unfair influence in the final – but what if the allegedly “preferred” team needs help to get to the final? I would say that you would have needed a lot more to od (as a ref) to influence because you don’t have the whole season to “correct” the position of the preferred team. So for me, the cup games don’t support your proposition, but rather contradict it. (2) You say that until the Villa game we weren’t considered true contenders. But I don’t understand where you drew that conclusion from. I think that we showed, quite from the start, that we were contenders. Actually, up until the Villa match we lost 2 very silly games @ home – WBA and Newcastle. I mean, why not put the line after we won vs. KGB ? Why not after we beat ManCity @ the Eastlands? It just seems a bit arbitrary to choose the Villa game. (3) In order to prove the “big change” with the big decisions, I think it’s only fair to post not only the % of wrong decisions but also the numbers. I mean, if we’re talking about getting 6 penalty decisions wrong, it’s not the same as getting 2 wrong. The quantity in itself counts, not just the %. (4) And as we all agree, the numbers regarding JUST Arsenal, are not enough to draw conclusions. I really think that the numbers shown can either proof bias, or just plain crapiness of the refs. Tommiegun- I think its fair to say that more people saw us as title contenders when we were top of the table than before it. Chelsea looked like they were going to rocket away with the title at the beginning. I also think you will find the numbers will make the gap look even more substantial.. Very interesting, though whether or not we were considered contenders before or after the villa games, the numbers aren’t pretty. I don’t believe we can draw any conclusions of bias from these numbers, while the work Walter has done this season has been magnificent, I don’t believe it is a fair and accurate representation of the refs performance in the league as a whole. While we may feel (quite rightly) hard done by this season, we have no idea how the refs performed in every other game. It could be that bias is unfounded and the real cause for the drop in standards is purely fatigue. If we are able to review next seasons top 6 matches (and can I suggest Walter would review non-arsenal/man iou/chelski matches, sorry mate), I believe the data gathered would more likely prove the real reason for this trend. It could be bias, it could be fatigue, it could be incompetence, it could be Walters bias to arsenal, the only way to find out is to gather as much info as possible. Quantity, quality and independence is what’s required, at the end if next season we will see if we have a POTENTIAL case of buas/fixing. @Tommie Gun: This is a Case Study and, of course, anyone is entitled to draw conclusions and ask for more evidence (as I will, shortly). But there is no validity to your assertion, TG, that “no conclusions” can be drawn (at least not for a year until the quantitative study will allegedly produce numbers that will still, without interpretation, speak for themselves. There is nothing to apologize for in launching a Case Study. There is, in fact, a massive history of case studies in every field that do suggest conclusions, as Walter’s reports do suggest. You may demand more rigor, as for your comment on the arbitrariness of taking Aston Villa as the demarcation line of this last report. That, to me, is a very worthwhile observation and I would like to get Walter’s analysis of how Aston Villa is the crucial tipping point. But, TG, I part company with you when you say there is no validity to Walter’s suggested conclusion until such and such a study takes place and gives us the sought after “proof positive”. That’s nonsense. There is interim validity or not, but not no-validity. And that is a judgment call. You dismiss Walter’s work to date as devoid of what you call validity, based on the quantitative mantra you sound. (is “mantra” too naughty?) But it won’t be 100% iron-clad, your/our anticipated study, and it will be just as targeted as this case study. And while it will help, and I will contribute dosh to it because it will help, to my lights Walter’s case study is what we have, a qualitative analysis with quantitative dimensionality that does add a lot – a major point of discussion – to our ongoing attempt to understand what is going on in this League, both this season and for the next. Your act of faith what the massive number crunching effort will and can produce is, right now, an act of faith. And for that act of faith, we are supposed to not draw conclusions. Does that mean be silent? I don’t think you mean that. For science, social or natural), there must be working hypotheses, and there are all the time: you, TG, won’t pose any working hypothesis until the data reveals what there is, you say. But you forget that the working hypothesis that “something is seriously wrong in the League” s what has spawned the UR quantitative effort (under Dogface) to begin with. This said, I’d suggest that we now return to Walter’s assessment of key calls/non-calls made along the way. You fail to analyze or mention them here as major factors in this case study To both TG and Walter, then: I would like to see where some of those allegedly egregious calls/non-call ref decisions came in the course of the match, and where in the course of the season, that is, on the way to the Cups; and so, whether (as to your query above TG), these decisions actually boost to the favored team (ManUre) at that time in the season. I would say the timing of the outcome of the matches needs to be looked at more closely. So I would call for more rigor in the qualitative analysis of those decisions – where did Arsenal stand in the table relative to ManUre at that time. This in-context view, looking forward, on the way to the finals/Cup is missing from the analysis to date. And, it will not show up in the proposed UR analysis to come either, unless we all decide to do the extra work. Do either of you disagree with the value of this do-able request? In closing, I where TG cautions against drawing any conclusions from Walter’s reports, I would caution readers against drawing no conclusions and going quiet as the upcoming season unfolds. In my no less humble opinion, TG, we have in Walter’s reports, an interim working hypothesis of great strength that invites further analysis and conversation on its own terms. What TG’s “no conclusions” call for caution has value (although I don’t like tone-police any more than you like verbal excess), but it veers toward silence in the face of the (dare I say) probable game-changing, season-shaping calls on the way to next year’s title (what I call Fergie’s 20th). So, Walter, if you feel this holds any water, how about an interpretive, yes, assessment of where/when the egregious match results came in the course of the past season? It need not be quantified to have real value. @Dark Prince: to your suggestion of an international ref’s review committee, would you (ever) be willing to do some fact-checking in advance: in this case, would any of the refs included in said committee still be drawing retirement pensions from an identifiable source? And can anyone legally be discontinued from receiving a pension for any specifiable reason (such as tarnishing the league or ref’s association from whence they drew/draw their livelihood)? These factors, to my lights, are knowable and might be brought to bear when your suggestion or the actually practical Untold Ref recruitment project gets underway. Walter, I love your articles! However, in my case you are preaching to the converted. To me this is crystal clear but I am unable to convince my nephews of this. Walter, they love Arsenal as much as we do – why can they not see it?? Please may I go off topic and speak about the Stoke match? I would have thought that only a blind man could not see that the grass was too long. I would have thought that only an idiot couldn’t work out that when forced to play the game in the air as opposed to on the ground, then Stoke go from being underdogs to being favourites. I have tried to find the rules that apply to the length of the grass, but could only find that the ref should ensure that the ball can roll over the ground quickly. The number of under hit passes and players tripping over the ball demonstrate that it wasn’t the case. What sanction is there against a ref who does not comply with this requirement? @Cape Gooner: your grass-query is great. But, you see, the quantification-worshipper would say, oh no, CG, you didn’t provide a comparative measure of the length of grass that day as opposed to the length of grass in all of the Stoke matches. So therefore, CG, you should be silent because that’s just an interpretation, a qualitative judgment, and very naughty and rash to suggest that Stoke would ever tilt the pitch against Arsenal’s manner of play. And, you raise a very good question: why isn’t there standardization of the pitches? why isn’t there pre-match inspection of the quality of the pitch? Or is there? Of course, others would argue that the reason the pitch is so smooth at the Ems is meant to discriminate against the Stoke airborne warfare style. So, there should be standardization of pitch quality; and when there isn’t, great questions like the one you pose need to be raised and answers pursued. Last, a demand for standardized pitches could well be added to the likes of video replay, etc. etc. to level the playing field for everyone. @CG: and as for financing the standardizing the pitch, I would recommend that it come from the TV revenues that the League garners each year. Perhaps the top four, yes four (not to be biased now) could splash the cash and ensure a top-flight pitch for all teams, so that no style is unduly privileged. @ Bob thanks for a very thorough post. I think that I might be at fault, for confusing people about my real stance. If your conclusion is that I dismiss Walter’s & Dogface’s work – then I must did something wrong with my explanations. I think that I tried to emphasize a lot the importance of not making bold, explicit, criminaly-smelling accusations, and didn’t take the time of explaining what I thought was fair and valid to conclude from the gathered evidence. So clearly, my opinion is that we could and probably should draw conclusions – just not go out and say: “the refs are instructed” or “the league is bent”. It’s essential to understand that these are not semantics: saying that a [singular] ref is biased [something I think I can support], is totally different to saying that the refs [plural] were instructed [a big no-no]. While the former can be probably defended with the given set of evidence (Dowd, anyone? ), the latter is (and I apologize if I’m about to offend anyone) as valid as claiming the FBI killed JFK, there are flying saucers stored in Hangar 18 in Area 51, Jesus’ bloodline is protected by the Knights Templar or anything of that sort. It’s totally unfounded and there is nothing, nothing but pure imagination [at this stage] to support that. Note: It’s important to understand that as though I think I (or anyone with reasonable analytical skills) can “prosecute” the “Phil Dowd is biased against Arsenal” case – I am pretty sure that case can be easily “defended”. It’s also important to understand that “bias” can be totally subconscious or outright malicous, or anything between those two elements. That’s why I think it’s easier (and more correct) to talk about ref bias, rather than “fixed league” or refs who were “instructed”. Another point is that you think I advocate for “silence” – but that’s not true. I advocate for, if anything, patience. There is a big difference between saying something just because you want to vent out frustration – or aiming at making a change. I am pretty sure that ALL of us here don’t want to lay waste to the tremendous work been done here just so we can feel better TODAY. That’s not it. I think that we are going to have one shot at this. If there’s a chance to make a change, we should make it count. I know that hiring more refs or demanding transperancy and disclosure of the ref rates given by the PGMOL are issues that stand alone and are not directly connected to the biased refs allegations. But I think that if we really want to make it, we need to make our case as good as we can, and sorry, right now it’s just not good enough. So if you draw conclusions, just make sure you are drawing the conclusions that can be supported with what we have right now, and even when you do that – keep in mind that the media and public exposure is going to for last a very short period. If we don’t get it right, it’s going to evaporate, and nobody is going to listen to us again (even if we provide more evidence). End note: the difference between a case study and making an allegation is clear. No one is going to get hurt by a wrong working hypothesis or case study. On the other hand, people can get hurt from false accusations. @ Bob – sorry mate I read your next post and I would really, humbly and politely ask you to try and keep it to the fact and try not to humiliate other members (i.e. quantitive worshipper, asking people to bite their tongue, etc.) That’s just a bit cheap. Oh, and highbury was not regulation side, which helped us a lot, so I wouldn’t talk about “grass length”…. it IS going a bit over the top. @Stevie E: Sorry if you think I am a whinger although I see nothing wrong with being a sore loser. All I am saying is that the game should be played according to the rules. I believe that the rule about the length of the grass is not followed by Stoke (bob – not just against us) and have asked Walter for his informed opinion. Imo the whingers and sore losers are those who do not realise that we are not favourites to win against teams like Stoke on long grass. They complain about the result while I ask if the length of the grass is against the rules. I thought all may enjoy this, I’m quoting, and I’m off topic… I know. @Tommie Gun: Cheers for the great reply/posting. There’s plenty to engage with and be constructive about as we go forward. That said, would you, then, get behind a call for a cumulative “Dowd Watch” on UA? Would you back a cumulative “Top 4 (from Walter’s table) Ref’s Watch” table? If so, or anything else, would you join in a call that Walter take that on as furtherance of the case study? I also would ask for a further explanation of why Aston Villa is this installment’s (part 5’s) tipping point. And I would also ask that Walter’s previous qualitative analysis of referee calls and match outcomes be re-visited in the context of where Arsenal and ManUre stood in the EPL table at the time – as I’d like to know, from a forward looking view, what MIGHT (or might not) have been a factor in the decision making. We could start with Dowd, for that matter. TG, I’m all for constructive critique and for bringing greater rigor to help us all reach that best possible critique. I just don’t think that the quantitative number-crunch alone will or even can be enough. @CapeGooner & @Bob – I’m already bored with this but where are the “grass length”” rules? To complain that “the pitch doesn’t allow us to play our game” IS crap as Stoke (or any other long ball team) could complain that the Emas grass is to short therefore not favourable to their long ball style. @Bob – while I admire your call to arms, based on the information we have to hand, it is nothing more than a call to suicide. At this moment, Walters ref reviews & Dogfaces’ reports are nothing more than a suggestion of wrong doing. Whilst you may now be convinced of foul play, to consider using this information as anything other than a good grounds for invesigation, is foolish. We’ve been having this conversation for two days so I see no reason to repeat myself. @Tommie Gun: It’s not OK – grass or otherwise- that anything privileges any one team or style. Aren’t we going for fair-play. Once we allow that it’s Ok for Arsenal (as per your Highbury notation) to have taken advantage, then we lose the high ground of fairness. (My god, have we had a role reversal here?) Anyway, boring as it sounds, I’m for standardization of rules and calls both on the pitch, and for the pitch itself. Fairness must rule, no exceptions. So sorry to be boring, time for my nap. @ Bob – YES to all your suggestions. @ Stevie – I agree. Your point about Stoke wanting the grass long and Arsenal wanting the grass short is 100% valid. If we want to win, we have to be able to play on any length of grass that is within the laws. However, we don’t have to be properly equipped to play in conditions that are outside the laws. To my mind this is identical to the arguments that flowed after last season’s away loss to Blackburn. The whingers and the sore losers called for Fabianski’s head, while the more sensible amongst us said that we need a goalie who can handle situations that are within the rules and we do not need a goalie who resembles a rugby lock forward to cater for the times where the ref decides to ignore the rules. @Stevie E: A “call to suicide”? Wow. Now you’re sounding like I do. Look, I’ve been suggesting today, and a few days, and suggesting quite practically, that we have a Dowd Watch, etc., to build on Walter’s report for us chickens to peck at, going forward into next season. Also a Top Four Ref’s Watch. Also that Walter say why Aston Villa match is a turning point. Also to look at the ref calls/non-calls he’s analysed from the additional standpoint of when they were made in the course of last season (i.e., where Arsenal/Manure then stood in the table). This is hardly the suicidal Kool-Aid that I’m accused of offering up. (Perhaps I’ll put myself on Suicide-Watch.) Stevie E, sorry, but the alternative to waiting one year, like you just about endorsed yesterday, is, in my view, offering practicable interim ways of analyzing that build on Walter’s reporting, which you called “magnificent” in your earlier posting today. With that I concur. And with Tommie Gun’s call for moderation, as I now see what it’s like from the other end. Anyway, perhaps Walter/Tony would weigh in on any furtherance of these reports that we all could assess. @Cape Gooner – What laws? As I said, the only reference that I could find was that the ref has to ensure that the ball can roll quickly. To me that sounds very subjective. That is why I asked for input from Walter. If there is no enforceable law governing this, we are doing something wrong. We need to leave our skilful players at home and go with our big guys. We need to travel with a full squad in case they cut the grass a few hours before kickoff. We are favourites to beat Stoke on long grass with a midfield of Song, Eboue and Diaby and a forward line of Bendtner, Chamakh and RvP but not with Wilshere, Cesc, Walcott and Arshavin. @bob, are you a journo? you are manipulating my words like the S*n would! I said THE WORK Walter has done this season has been magnificent. Your inital stance may have changed according to popular opinion (maybe not a journo, an MP prehaps) but you still are trying to propose broadcasting these findings (worldwide Arsenal support.. ringing any bells?) as fact in an attempt to prevent the rednosed one getting to 20… state your mission and stick to it my friend. @Cape Gooner: agreed: that is, if there are no enforceable rules, and no calls for standardizing the pitch, THEN we need to be proactive and send our spies and overhead satellites to take high-resolution photos of the state of the away pitch. Then Arsene could tweak the squad accordingly. Yes! That would surely add to our not-so-beautiful game and, surely, a few points in the table standings. @Stevie E: Wish that I was a journo or MP: then I could do a right proper investigation and be paid for it to boot. C’mon, mate, I would like us all to think about how to extend that magnificent WORK and yes, to share it with the entire AFC community for their input. Are you really against Gooners all over from reading/assessing Walter’s reports and drawing conclusions? I mean it’s already here for all and anyone to see. I’ve sent a few links to Arsenal pals of mine in a few places. I do, as I’ve mentioned above, think this report is flawed in certain ways that do not outweigh its virtues. So, should I not send links to other Arsenal supporters? Is that something you wouldn’t do? Are you against the Dowd watch, and other suggestions I’ve at least offered? That’s fine with me, if so. I have no powers that you don’t. And I share the same wish for fair play that you do. I’m being proactive with suggestions on ways forward. If that’s tripped your wires somehow, I’m sorry, but calls to suicide, being a journo or an MP are really not in my arsenal. 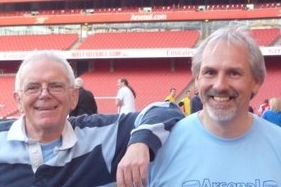 @Stevie E: and yes, part of my “mission statement” is to prevent rednose’s 20th with an Arsenal coronation. Have I stated my “mission”? there is nothing in the laws of the game that say how short/long the grass must be. As long as the ball can roll the field is playable. About the Stoke game itself it was at times looking like a film of the old comedy capers series. I think some 10 times a player tripped himself when running with the ball (also Stoke players did this!) And the numbers of overhit or short passes was riciculous (also from both teams at times) but Stoke knows how to deal with such situations a bit better than we. If it is so bleeding obvious why do the whingers and sore losers complain about our poor performance in losing to Stoke? Why don’t they blame Wenger for picking the wrong team and not blame the players for performing predictably badly? Why do you call me a whinger and a sore loser and of making a daft complaint? I would have thought that your initial criticism would have been for me making too obvious a point, not for me making a daft point. Perhaps what is bleeding obvious to you now, wasn’t so bleeding obvious at Stevie E May 30th, 2011 at 4:37 pm ? @Bob – we both want the same thing, that’s not in question. Send links by all means, just try to understand that the information gathered to date is not sufficent to make a change. Sorry mate, but all your wordsmithery aint gonna stop ol rednose getting 20 if that’s want the powers that be want. @Stevie E: I know it’s not sufficient, which is why I’m advocating constructive extensions and further assessments of Walter’s work and report at UA. I look forward to more of your inputs to that end. I’m a wordsmith, yes, but not a pro. And I’m on your/our side in this with the wordsmithery. But I don’t feel resigned, as you seem to be, to Rednose 20, and I don’t think that’s the “mission” of UA. Honestly, I think you’ll feel and write otherwise, as we heal our wounds and the next season rekindles some hope and good thinking. Thanks Walter. I hope Stevie E is right and that all this is obvious to AW. It must be really difficult to have a squad of 25 to play beautiful football at home and “lump the ball in the air into the box” football in the tall grass and cut up pitches that some of the less talented teams utilise. I recall AW complaining about the pitch after our game at Old Trafford and even UA readers calling him a whinger! Walter an interesting article which ties in nicely with your earlier work. b) do nothing about the refs at this point, but gather more information over next season. A third option would be a bit of both. Some of those who want to wait before trying to take some action are concerned we might go over the top – a bit disingenuous in my view. Walter, your opinion on the way forward is important at this time. we will see that Phil G has picked the same startng line up that AW did. Now why do you think that happened? Actually, read that last question as a statement cos I’ve got no interest in this anymore, sorry if that sounds harsh but it really is boring… the length of grass??? Please! @Bob – I’m only resigned because I’m aware of exactly what we’re up against! To underestimate the enemy is the worst mistake to make, and to overestimate our firepower is the second. It’s not up yet but their twitter account has been posting small tidbits for a few days concerning among other things, connections with Qatar’s world cup bid. When the site opens up their first article will apparently be about Barca’s alleged tapping up of Cesc, and how they have got around the law by using their players to do this tapping for them. Really interesting stuff. @Wrenny – Glad you re-posted this! Hopefully Anne who was going to work on this further is paying attention hereabouts and is able to factor in any information. Let me put in my two yen. It is nice to see a debate going on about the depth of research, the validity of claims, drawn conclusions etc. To start off with, the split at Villa seems very arbitrary. Granted, we got to the top spot at that time, but I wouldn’t say that you are only considered a title contender when you are number one. There is no exact moment when the media – and henceforth the populace – started considering Arsenal as title contenders. It might have been around that time, although Arsenal had lost to Spuds the week before. if you split the performances at Everton (two weeks prior) or ManU (two weeks after Villa) you might see a similar trend. Maybe not as pronounced, but I guess it will be there. Splitting the league at Villa because of a subjective notion that people consider Arsenal title contenders is not a solid reason. But actually this is not even that relevant. Fact is that there is a huge difference in refereeing performance between pre-Villa and post-Villa. With a limited dataset we have right now – only Arsenal matches – we have to be careful with any conclusions. And gladly Walter is not going overboard with claiming bias against Arsenal in this article. Coincidence my a** indeed. It is fact that the pool of EPL refs is too small and you can safely claim that slowly but surely fatigue sets in and the refs’ performances will suffer. This is a point you might want to broadcast already. You might want to inform the broader public that you are going to do more research into the refs performances because you believe the standard is too low, but omit the words bias and corruption from your vocabulary for now. Right now it is not possible to validate those claims, while one year of data gathering for all the top four/six matches will allow a comparative study for how each club is treated. If that study makes bias or corruption very probable then you have something to show the public. Especially if the media picks it up, it will be difficult to be brushed aside by the FA, EPL, PGMOL etc. and a thorough investigation has to follow. If this means one more season of bias and corruption in which Arsenal is hard done by, but after which the league will be cleansed, then I consider it worth the wait. About the numbers I just would like to say that the fact that the refs in the cup games get their decisions correct is something that shows that the refs in those games are up for it. The difference with the league games played in the same period is mindblowing. I named possible fatigue as one reason but then again I ask myself how comes that the same refs perform well enough in the cup games in the period december-february but not at the same level in the league? If it just would be fatigue then the points should be low in both games. If you say competence then the same goes. How can a ref be competent in a cup game and then turn in to a bad ref all of a sudden in the league? It doesn’t make sense. So it really is a mistery to me. I cannot find a logical explenation in the two most mentioned excuses for bad refs: not competent or fatigue. And then it turns in to something that doesn’t look right. I can also say that the numbers of points I calculated in the 4th article in this series is somewhat irrelevant. If it is 6 or 13 or even 18 points we lost to bad refereeing is just not that important. What is important is the fact that it didn’t was a somewhat even result at the end of the season. The reason why it didn’t even out is why we need to look further. At least the top 6 teams should be involved next season. If more games can be done even better. But if we see the same (low) numbers on the important and key decisions and if we can see if the decisions go one way then we can really draw some more conclusions. On my suggestion on creating a International Panel/Committee/Organisation of Refs, I dont think ‘the pension plan’ excuse is of any use. Walter himself is/was a ref, so there must be many other refs out there in the world, retired or otherwise, who may be willing to spend time on this committee to check out for any bias or incompetence. Surely the Refs working outside U.K will surely wont mind helping in the ref review of the epl matches. @Dark Prince: it was a question, not an excuse. if it’s not an issue, you are golden. (2) For next season: Would/will you consider doing a cumulative Watch Table on those referees? on Vidic, or any other player (including ours, for “balance”)? (3) For last season: Would/will you consider examining the comparative place of Arsenal/ManUre in the table at the time of some of the key calls/match outcomes by any of those “top refs” at the time of those calls? I will try to use some of your questions and see if I can include them. One of the tables I am thinking of is to keep records of non called fouls on players. And compare this to the given fouls. And if all goes well this should be linked to the refs in charge. Cesc suffered 50 fouls in the season that where called by the ref. Some 40 fouls went unpunished. Arshavin has suffered 10 fouls that have been given. Some 75 fouls were not given. Ref M.D has given no fouls on Arshavin in the 5 games of Arsenal. He left 25 fouls unpunished. That is the plan I have in my head. And why I need to bring the players names (or numbers) in to the reviews I will write. And doing this for each of the top 6 teams will maybe be a big job but I sure will try to get that far. @Walter: Cheers for that. A bit further on the non-calls, for example the attacks on Sagna that led to his blow-up and carding at a match soon thereafter: My fear is that the accumulation of such treatment will lead this skilled and yes, highly-rated player, a serious asset, will lead him to consider: (a) will such EPL ref practices shorten my career? (b) will another league and a top side that wants me (perhaps at a better wage) not outweigh my situation at Arsenal? To me, that is a very rational calculus, and I would not consider a move away from the Ems an act of betrayal in the least. I would consider the secondary failure of fans to really have his back, as well as the primary failure of the League/PGMOL, etc., to have opened the exit door. His departure will be very hard to fix. There are real consequences to be faced (and not only for Sagna) which might, if he decides to leave, for such treatment. I hope that he gives us more, but I could well see why he’d go and wouldn’t hold it against him. Have I opened Pandora’s box here? p.s. I use Sagna, as but one example. There are others – one life, one career, family to consider…. Our lads are not machines, and wearing the jersey does not mark them for cannon fodder, even as it might mark them for retaliatory cards or non-calls on the joey barton’s of the agro-world. Hmmm.interesting debate on here. TommieGun and Stevie E.. I agree that we have to be careful what we proclaim to the world at large since it is easy, and even natural for people to ignore the very real findings due to the hurried conclusions drawn. However, at the same time, those ‘allegations’ have a role to play. bob is quite right in pointing out that there is such a thing as the ‘court of public opinion’, and it is in fact quite powerful. It is also the reason, in my view, that some fans put Wenger under pressure, or bemoan simply the lack of spending etc, because the media manipulates Public Opinion. These allegations may not stand up in a court of law, just like the media proclamations do not always stand up to the scrutiny of the numbers, but they do shape people’s thinking. The problem is in finding a happy medium in which to separate, but articulate both the findings of the study, and the theories of ‘bias’, ‘corruption’, ‘fix’ which may not be proven at this stage, but is not entirely incomprehensible either. Ultimately, all that can be done to stop corruption if it exists, is the same as what is required for improving referee’s performances (something I think we all agree is needed). Things such as increasing number of refs, increasing transparency about the ref appointments, and assessments, and even the ref media interviews. There is no inherent contradiction in the two postulations since the solutions are the same. And both have a role to play. I’d rather we not exclude either, but concentrate on how both can be pursued so that they complement each other rather than harm or compete with each other. @Shard: agreed. that’s what I thought the UA / UR complementary- divide was all about. keeping a creative and principled and productive synergy between and among them is a good way forward. then again, several practical suggestions on how UA might proceed are not, as yet, being discussed, nor have other practical suggestions, as yet, been posed (except for Walter’s just above). As soon as last season’s hangover lifts, I’m sure we’ll all be back atop our game. Regarding the UA-UR divide. I think we should ensure that there is only a one way flow of influence, something I’m sure will happen if the site UR can be as well constructed as has been discussed here. What I mean is that UA should use the data from UR to draw and proclaim our conclusions, while UR should not be affected by it. I’ve actually been short of time these past few days, and I envisage that being the case for a few more weeks yet, so I’ve been unable to contribute or even always keep track of what has been suggested for moving forward. If you could list some things that have been suggested both by yourself, and others, then I’d be grateful. Cheers. Absolutely true, but that is exactly the reason why the public opinion becomes all the more important. Even if they cannot be stopped, they can be discredited. And who knows, the fear of that may just ensure some fairness. @Shard: some of that (my) laundry list: launching a cumulative UA Ref Watch List; a cumulative Vidic/players Watch List; asking Walter to correlate his last season’s identified awful ref calls (see that report) with Arsenal/ManUre’s respective places in the table at the time (looking forward); sending links of Walter’s reports to AFC friends and family; etc. etc. There’s been a very robust interchange re. Walter’s reports and what to do going forward that would be well worth catching up on… p.s. to date, there’s been specific discussion of how UR results would be fed into UA in an ongoing (rather than wait a year) manner. Another thing I’d like to point out, is that the data next year should not be looked upon as conclusive proof (which so many seem to demand), with the rider that it works both ways. If the numbers do not show same/similar pattern, that should not mean that the theory is entirely wrong. In my view, the ‘bias’ has been evident for a few seasons now, but was ultimately most visibly reflected only towards the end of the season. This season, it has continued right from the start, and eased off a little (in terms of the title at least) towards the end, when it can be said it was no longer ‘required’. (My view is that it was to ensure that ManU could stay in the mix, because with the team they had there was no guarantee they would even stay with a chance of the title towards the end). The pattern might well change again, and while Walter can draw conclusions about the Villa game and ref performances before and after (since the numbers do indicate something of the sort), it should not be seen as THE pattern. @Shard: jeez, sorry: to date there’s been No specific discussion of the cumulative data sharing – if any – along the way. @Shard: also, some very worthwhile economic/business analyses from Wrenny and others about how the business model exerts its pressures toward certain outcomes based on TV revenue sharing, maintaining brand recognition, etc. See Billy the Dog’s just-past article and the commentaries below. Wrenny offered a great link to the Business Analysis of the league and also a Barca Watch website which is forthcoming. I see no problem with any of that list. I think though, that UA should be the one doing the specific ref/player Watch, based on the UR data set, as a means of further ‘proving’ the theory that we hold is correct. The only influence UA(and it’s theories) should have on UR is the influence we, the readers, have had on Walter. i.e. that due to our feedback, Walter has modified the the way the data is presented (introducing the minute the decision was made, the no. of wrong calls and their percentages etc.) UR should be open to expanding it’s data set so as to be better reflective, but should not be influenced by the reasoning. I just had a look through the comments there. That ManU is the ‘face’ of the EPL is something I’m well aware of. ManU were the first club that made it’s existence known in my consciousness due to that very reason. It is still the brand when it comes to football. Advertisements, branded stuff, posters of Rooney (despite the looks) are everywhere. We have an official ManU bar in the country, something no other club has. All these things supposedly contribute to the EPL product. However, the good news is, that just like I didn’t pick ManU, there are many others who get put off by the in-your-face marketing that they indulge in. If along with that, it starts to feel that they manipulate the entire product itself, then I hope that there will be a change in the tide. ManU may well have put the EPL on the map. It might just also be the reason the EPL loses it’s way. Bob- its definately an issue but it doesn’t mean its impossible to make such a committe/panel. Infact it could be revolutionary idea. (and maybe the names go anonymous? ), I do think it’s a great idea. @Dark Prince: one more proviso – Seep Bladder need not apply! Bob- definately agree, except for names going anonymous. I think its very important to keep it known who are the people involved. I think hiding anything will just take away the credibility, jus as it is in d case of PGMOL when they hide the ref evaluations. And i hope the refs involved are not english, and every review should be evaluated by atleast 3 refs so as to remove any type of bias that even any of the individual ref has (afterall, even refs are human). @Dark Prince: I take your point on full disclosure; but my god, the potential for bribery to sweeten a retired ref’s retirement fund is, well, you know, immense. The review of the review is a sound idea, but what happens if there are disagreements, etc. That said, I back the idea as long as all of the decisions and reviews are made public. Full disclosure is the way. Glad to be on board. Bob- the only way to avoid any of the retired refs in the panel getting bribed is by disclosing their names only when the ref review is made public. Also, the same ref cant be used for the same team more than twice in a season. This again wil minimise them getting bribed. But obviously this would mean that there should be around around 57 retired refs required. Or we can assign a ref a max of 3 games for d same team in a season. That way, we would need only 35-37 refs, which if looks doable if this plan for a international ref committee is taken seriously. Later on as the committee becomes more popular around d world, the number of retired refs joining should increase which again should lower the chances of bribery. Also, yes, there will be disagreements between the refs over certain issues. But i think with the help of video footage, such disagreements should be to a minimal as the evidence itself is there in front of the eyes. But still if there are any disagreements on major issues like for eg, a penalty decision which could have gone either ways, or a offside decision which might be very tight to call,etc, in such cases, the benefit of the doubt should be given to the decision made by d ref/linesman on the pitch. bob- as i said earlier, the idea which i have proposed is jus a suggestion. To make it happen, it will obviously will require massive efforts and resources (afterall its supposed to be an international committee). Though the main work of the committee is to evalute a ref on his person, it should also be able to look for any bias or incompetence or any trend which can be suspicious. Eventually the whole idea, is somewhat like the ref review that Walter does, but it involve all teams and will also remove the Arsenal bias which is normally hurled at Walter when he does his review. I think that the constant debate on here about how to improve the evidentiary merit of Walter’s ref analyses’ (while certainly worthwhile), nonetheless takes away from the extraordinary gift that Walter has provided us just by doing as much as he has. Could more be done? Sure. But I do think that a lot of people on here tend to comment without taking a truly serious look at what has been done already. Remember, this is not a court of law. Personally, I’m willing to shout from my rooftops that the EPL is biased, bent, corrupt, or whatever (although, in my neighborhood, that would probably just get me arrested for being insane or on crack or something 🙂 ). And that opinion is not even based on Walter’s ref reviews. It’s based on what I’ve seen on television every week. I guess what I’m saying is that this stuff has become so obvious that fans of every club know about it. It’s just aobvious. And I think that this blog is well w/in it’s rights to make any allegation of bias, or corruption, or whatever that it wants to make. Unless we’re in a court of law, the evidence is good enough, in my opinion. And Walter et al go much farther than most in terms of backing up their allegations w/ actual data. If they can expand their analysis further, so much the better, but I don’t think that’s necessary to make the claims that they’re making. And I hate to see people beating them over the head more than others because they’re the one site that actually goes to the trouble to back up their allegations w/ some data. If you really do have a situation where refereeing is biased or corrupt, you’ll notice suspicious patterns in terms of the times at which bad decisions manifest themselves. In other words, if bias exists, you’ll see it less in something like a cup game, where the outcome of the match doesn’t have as much impact on a larger whole. I also like your differentiation between before and after the Villa game. Of course, we can all argue back and forth about whether that’s the right place to make the divide, but I think you’re thinking along the right lines. The evidence should be differentiated based on to what extent Arsenal was threatening for the league title at any given moment. If you see a pattern of more bad decisions when Arsenal appeared more threatening, it’s more likely that bias or corruption is occurring. So, well done. As always, thank you Untold, for your hard work. I remain in awe of your ability to find the time to compile the amount of data that you have (and I know it isn’t easy). And regardless of whatever nitpicking goes on in the comments sections (which I’m not saying isn’t worthwhile), I think that your personal contribution to cleaning up the league has been, and remains to be, immense. Thank you very much. As for the Qatar stuff, I’m not sure Barca is in the clear there. I (along w/ many others) don’t like their Qatar Foundation shirt sponsorship (I didn’t like their Unicef deal either), and it’s interesting that Pep supported Qatar’s WC bid, while Barca didn’t back up the Spain/Portugal bid. If I was a ref and had had my photo put on twitter in circumstances similar to the Webb post I would have been extremely embarrassed. What Babel did was certainly not subtle. However, Webb and his employers seemed quite happy to carry on regardless with the bias to assist the manures. Obviously it will take a lot more to than Babel’s post to seriously disrupt the present bias. Any ideas? I think you need to be very careful about propagating some sort of “Catalan Conspiracy” based on what appears on the website you linked to, considering that it isn’t even up yet. Examine your feelings: Do you truly believe that there is a “Catalan Conspiracy” in favor of Barcelona, or are you just angry at Barcelona in relation to Arsenal, and thus determined to beat them over the back with any cudgel you can find? What the hell does that even mean? The “athletic deception?” Are they claiming that FC Barcelona doesn’t actually play good football? If you doubt that Barca plays good football, just watch a replay of the CL final over the weekend. Did Barca not absolutely and completely spank ManUre and hand their a**es to them on a silver platter, in the footballing sense? And what of this about the “illusion of sportsmanship?” Sure, there are plenty of examples this season of times where a Barca player showed bad sportsmanship. But can you honestly not say the same about Arsenal, or any other club? If you’re going to nitpick Barca for everything one of their players does wrong, does it have any merit if you don’t also consider the things that they’ve done right? Or the things that other clubs do wrong? Have you seriously done a balanced analysis of that? (For more on Barca’s class on the pitch, I refer you again to the CL final last weekend). In other words, do you have ANY IDEA AT ALL what you’re talking about on this? If you can answer “yes” to all of the above questions, I’ll happily wait for an on-topic thread to hear your opinions about the club, and provide my responses. However, if (as I strongly suspect), you have to answer “no” to one or more of the above questions, I think it takes some serious cojones to come forward w/ allegations like that. If nothing else, I can promise you that I will make an absolute fool of you if you insist on make such allegations against a club that you know so little about. Because I can answer “yes” to every single one of the above questions. Can you? With all the discussion we’ve had on this site about conspiracy, and specifically the extraordinary depth of evidence that is required to prove such a “conspiracy,” I find it incredible that you’re willing to come forward and so casually allege a “Catalan Conspiracy” involving FC Barcelona, based on so little evidence. To everyone else, I’m sorry for losing my temper over this. I really am. I already know that I’m going to regret hitting “submit” on this one. But Wrenny has linked to a site that is condemning Barca on every level, including the honestly good football that they play, based on no evidence at all. It’s WAY below the belt, as far as I’m concerned, and I find it offensive. Again, I’m sorry. Just ask yourselves how you would feel if it was Arsenal. Alright, I’m going to go and dry my tears (seriously), and calmly await the hell fury that will probably be coming to me after a post like this…Cheers. @Anne: Of course Tony and Walter can publish on this website whatever they want, whether it’s grasped out of thin air, an underbelly feeling, a reasonably good argument or a solid case. They have succeeded in so far that Auntie has picked up on Untold and published about Walter’s and Dogface’s efforts here. Over the course of the season they have done an impeccable job and Walter has come up with some insightful conclusions in his post-season writeup. However, because I regard Untold higher than tabloid-level I would still suggest to wait with any claims for bias and/or corruption until there is more comparative data available next season. That’s not a job Walter can do alone and that’s why the plans for Untold Refereeing arose. Perhaps Dogface can write ref previews for matches other than Arsenal as well? I have no idea how long it takes to write a preview, but only giving the Predictortron results for all the matches involving the top six shouldn’t take very long. As for your reply to Wrenny’s link, I can understand your reaction. Any populist negativity in the media about Arsenal makes my skin crawl. People don’t know what they are talking about and make unvalidated claims only seeking for sensation. The Catalan conspiracy seems to be doing the same, judging by their front page. Nevertheless, I will be interested in what they’ll have to say and equally interested in your response. Once they have published the first article – apparently about “tapping up” Cesc – it will be nice if you can write an article for Untold refuting the “tapping up”. It is great to have a Barcelona supporter (although also Arsenal supporter) on this website. I wish supporters from ManU, Chelsea, etc. would drop by every now and then as well as long as they can participate in a reasonable dialogue. Coming to the point about Barca being attacked or discredited, the only thing I can think of to say against the football that Barcelona play, is that they also spend a lot of time diving about the field. To their credit this was not evident in the Champions League final. Maybe someone had a word considering the occasion. However, they do dive a lot otherwise, and in my opinion they do it MORE than most other teams, while at the same time getting a free ride from the media in that regard. Moreover, they often proclaim themselves as purer than pure and imply that they are the only custodians of ‘good’ football. That can get annoying. That is apart from all the Cesc tapping up, and other disrespectful noises coming out of the official channels of the club. (Such as calling Toral’s signing “a little immoral”), which admittedly I only know about in relation to Arsenal. I do know a little bit of Barca’s history(they were probably my 2nd team, like Arsenal are yours), but not enough to pass judgment on how that is a factor. Thank you so much for your comments. If (and I do mean IF 🙂 ) this Catalan Conspiracy website actually backs up it’s allegations, I’ll try to come up w/ some sort of evidentiary response to it. The difficulty w/ coming up w/ a post to submit on Untold in regard to the Cesc tapping up stuff is mainly to do w/ the sheer volume of material involved. The reason I have a different perspective on the Cesc transfer saga than most people here is that I’ve followed it as it unfolded in both the English AND Spanish medias. What I actually did was, I went from late 2009 to the fall of 2010, and I compiled a chronological timeline on the Cesc transfer saga as it unfolded in the medias in both countries. I copied and pasted every article in the major media outlets in both countries into one timeline, so that I was able to compare how the coverage in both countries tallied and contradicted. And what I found was very telling. The problem is that, my entire timeline is 118 pages long, in Microsoft Word. When it got that long, I kind of quit because I knew that I could never compile it in a way that I could present concisely. Even if I were to take the (monumental) time and effort to completely condense my findings, I don’t think I could do it in less than 20 pages. I’ve been thinking about it again lately, and the main problem that keeps arising is the volume of the material. If there was any way that I could focus my findings on something in particular, I might have more success. Does anyone have any ideas on that? What was it that pissed all of you off the most about the transfer saga last summer? Anything that could help me consolidate…. Thank you very much for your congrats to Barca. I really appreciate it, and I did enjoy it (In fact, I’m still sitting in my front room w/ the blinds closed avoiding any direct sunlight to my eyes 🙂 ) I also think that Arsenal should take some credit for how much better they played against Barca than ManU did, but that’s another topic for another day. As for the diving stuff, I would have to ask you the same question I asked Wrenny: Do you follow Barca week in and week out? Do you watch all of their matches? Because from what I’ve seen, the performance against ManU last weekend was much more consistent w/ what I’ve seen from them all season than those few matches where they were diving a lot. Maybe I’m biased, but I think that, although Busquests and Alves do have a tendency to dive, players like Messi and Xavi will get the sh*t kicked out of them before they’ll go down. Based on the totality of what I’ve seen this season, I don’t see how you can argue that Barca dive more than players from other clubs. If you’ve actually watched ALL their matches and have a different opinion, I would be interested to hear it. And I also don’t see how you can say that Barca never get called in the media for diving. Go look at the Guardian (just as an example) in the last couple of months, and see if they have a single article about Barca that DOESN’T accuse them of diving. Just saying…Again, thanks. It is true that I am not as closely aligned to issues concerning Barca so I might have missed some articles that do pull up Barca (fairly or otherwise) for their diving etc. The fact remains that the usual media line we are fed does not mention it, beyond maybe a passing reference to them being well conversant in the ‘dark arts’ as well, but often in an appreciative way. I have not seen EVERY match, but I have seen a few. I’m sorry I don’t recall which matches specifically because I only watch the La Liga whenever it’s on purely for the football, rather than following the league per se. Whenever I do watch Barca, they do dive about. But the difference between Barca diving and Cristiano diving(he doesn’t deserve to be recognised as a great player for that reason in my view) is that Barca dive very often in defense. They do it as a means of getting the ball back. Get close to the attacker and fall over. This adds to their possession game. I respect Barca’s achievements on the field, despite the diving, though I think it deserves a mention. But their antics off the field have meant that , unfortunately, I do not respect them at all (despite wanting to). Mes que un club is a fine motto. But to live up to that, they have to paradoxically enough, not give into that feeling of superiority. Their pronouncements often seem to do just that. They come off as arrogant, and believing that they are better than everybody at everything just because they are, at the moment, at playing the game the way they do. In today’s world unfortunately, winning seems to give people that right. One last thing, which i wanted to say to you before, regarding the Puyol and Pique twitter photo. I thought it was disrespectful and cheap, even if it was harmless. But in my view, it is Barca fans who should be more upset about it than Gooners, because in my view, it reflects badly on your club. Barcelona and Arsenal – Brothers in the Football World? I agree w/ you about the Pique and Puyol thing. I wish they wouldn’t do stuff like that. But I also think that your comments about how Barcelona comes off as arrogant is affected by the media filter through which you see them. I don’t know, but do you speak Spanish at all? Are you able to look at any of their comments or statements in their original context? Or are you at the mercy of the translators? Besides, it’s not even about the Cesc transfer. After winning against Arsenal, Barca were quick to suggest that since Arsenal defended Barca were the only ambassadors of football. Even some fans on the site you gave a link to said it was against Arsenal fans’ portrayal of the team. As an Arsenal fan, I was completely proud of that performance, 0 shots on goal and all. But I digress. The Club’s president comes out with seriously stupid statements regarding Arsenal and our policy of youth transfers, while proclaiming Barca as the true progenitors of a youth academy and of proper conduct regarding transfers. (haha) There are very many examples of arrogant, self serving behaviour, while at the same time holding up a holier than thou facade, that I have seen from Barcelona in the past few years. It is unfortunate because I did have real respect for them. In my view, it is because winning has gone to their heads. If I sound rude or harsh, it is because there is genuine annoyance about the way Barca have acted towards our club (many times, not always media spin), but also genuine frustration out of what I see as Barcelona forgetting where they came from. As I once said to some barca fan. Barca went 6 years with no trophy in a less competitive league, since Real and Barca dominate the TV money. Built no new stadium, finished 6th in one of those seasons, and managed to find themselves in serious debt. Why should Arsenal fans feel belittled by you lot. I know you say the same thing about Arsenal too. But what I’m saying is that In this spurt of trophies that has come, Barca have forgotten respect for others who are where they were before. Very fair point. I think that the ref performance in that match deprived both sides of a fair result, which put the Barca players in a difficult position as well (as was reflected in their post-match comments, which were unarguably supplied by Barca higher-ups). Obviously, Arsenal suffered the worse for it, so I’m not going to sit here and whine about any unfairness towards Barca. But on the other hand, what else were they supposed to say? “Sorry, we didn’t deserve to win that match, and the rest of our CL campaign will be tainted as a result?” They had to say something, and unless you believe that it was Barca that actually fixed the match, I think that maybe you can have some sympathy. What would you expect Arsenal players to say in a similar situation? No, ManU winning would not have been a victory for football. I’m surprised that Barca has not gotten at least a little bit of credit around here for beating the obvious referee fix that was on that match (in my opinion). How so? Seriously, I’m not sure what exactly you’re referring to here. Sorry for the disjointed points there. I’m a little short of time. I’ll take you up on that offer if I’m ever in Atlanta. Cheers. Oh and Happy Birthday to you Anne.. Forgot to say that 🙂 Right.I’m off..
@Anne: What makes you think that Barca beat a fix? That would be germane to say the least and I, for one of a few dozen, am all ears, especially when it concerns Fergie’s orcs. First of all, a happy birthday Anne. Second, thanks for your replies. I used to quite like Barcelona, probably due to the fairly large amount of Dutch players (I’m Dutch) there have been over there. While I still like the style of football they play – have to, Arsenal is not much different – I have started to dislike Barcelona for their antics off the field. And of course for beating Arsenal two years in a row – I am an Arsenal supporter after all. Oh, and it doesn’t help having a Spanish colleague (not Spain, the Basque country, he keeps saying) who supports Athletic Bilbao. However, for the most part my view on Barcelona is based on what I read in the media. The online English media that is as I no longer live in Holland and only read sports news on English websites. And I have come to the conclusion that they glorify Barcelona when it comes to game performances, but are very negative about off-the-field practices. The “tapping up” of Cesc is repeated ad infinitum. You will have found out, otherwise you don’t get to 110 pages of media reports. That’s why I enjoy reading a reasoned voice here (you, Anne) who stands up for Barcelona and claims that the quotes from Xavi et al. are wrongly translated or inflated etc. To give you maybe some handle how to summarize your material, I think it would be good to highlight where English media have misquoted; you can give accurate translations yourself. Another thing you could do is to show a general progression over time how it is reported in Spain vis a vis England. Just some idea. I hope they are helpful. By the way, congratulations with the CL title. Out of the two sides, I prefered Barcelona and apparently they were deserved winners (I didn’t watch). You alluded again that the match was fixed and a couple of weeks ago you already said that ManU were supposed to win this. Were there any clear references to a fix in this game other than Rooney’s goal (with an offside in the build-up)? If the match was fixed, then it’s encouraging for Arsenal and us that a fix can be beaten as long as you play your A-game. Following the obvious corruption in FIFA, there is a simple area to consider. That is where the money comes from and where and how it ends up. The Inland Revenue, Customs and Excise must be missing a few million from football. The reality is that when Man U win the league the FA makes the maximum revenue. Any other team has a relative drop in revenue. This alone shows where the incentives are for the referees and for the FA and it’s ‘snow white’ officials. Arsenal are without doubt the best footballing team in the league today. Obviously, not the winners that they should be but sporting in that they do not ‘go down’ easily. The way Arsenal players are treated has not changed much over the seasons but the ‘nationalities’ mix of the team has. The treatment appears to be proportional for the team as the number of English players in the team. Referees appear to have conversations with ‘local’ players whilst their general approach to others is via semaphor of red or yellow cards. The language barrier is not a good thing in the game (unless your manager has influence). The media hype it further and all this leads to the stats that apper in these articles. I still remember Vieira being carded for foul and abusive language that was eventually changed to insulting or some other such diplomatic cheating in order to save FA face (what Vieira had said was that the referee was indecisive). There is always bias of some sort in everyones approach to the game. What is paramount is that the game wins in every match according to sporting principles and the Laws of the Game. Thank you for your b-day wishes, and your kind response to my posts. I think I’m going to really make a fool of myself if I stay on this thread for too much longer, but I’ll try to get back to all relevant persons on their posts tomorrow. Cheers. Please do your best to forget everything else about this thread in the future 🙂 Ok, I think I need some serious shut-eye at this point…. I’m just home from work. Many thanks for your earlier reply. Hope the birthday went well!